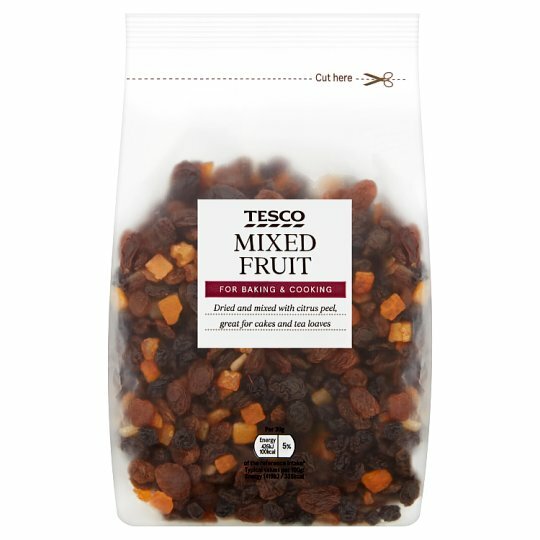 A mix of dried vine fruit and candied citrus peel. Sultanas (50%), Raisins, Candied Citrus Peel (14%) (Glucose Syrup, Orange Peel, Lemon Peel, Sugar, Acidity Regulator (Citric Acid), Preservative (Sulphur Dioxide)) Currants, Sunflower Oil. Store in a cool, dry place. Once opened, reseal bag using the tape provided.